There is no shame in realizing that you are deeply in debt and need help to get out of it. An experienced bankruptcy lawyer can help. 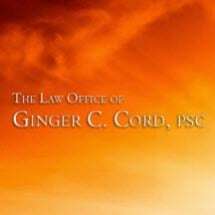 At the Law Office of Ginger C. Cord, PSC., in Lexington, Kentucky, we help clients throughout the Central and Eastern Kentucky areas, including Lexington and Frankfort, to eliminate their debts permanently through the process of bankruptcy. Depending on your financial circumstances and goals, you may wish to consider an option called Chapter 7 bankruptcy, which eliminates most debts outright. The other is Chapter 13, which operates more like a long-term debt repayment plan with some debt elimination benefits. Whether or not a Chapter 7 or Chapter 13 bankruptcy is right for you is something you should discuss with an experienced bankruptcy lawyer. Our founding attorney, Ginger Cord, is highly experienced, having guided clients through bankruptcies for more than 25 years. She is also highly respected in her field, having served president of the Kentucky Bar Association's bankruptcy section, as well as chair of the Fayette County Bar Association's bankruptcy section. Whatever your questions about bankruptcy, Ms. Cord can answer them for you in a free initial consultation. Call us today at 859-963-2073 or 800-762-6916 toll free. The Law Office of Ginger C. Cord, PSC., is located 1.5 blocks from the United States Bankruptcy Court, in downtown Lexington. Payment plans are available for qualifying clients. Filing for bankruptcy can be done through various chapters in the bankruptcy code, but in terms of personal bankruptcy, there are a couple more common options: Chapter 13 and Chapter 7 bankruptcy. Debt can quickly spiral out of control for anyone. Even people who have a steady income and substantial assets can find themselves overextended in terms of debt. After working for years and years, one expects retirement to be an opportunity to relax and enjoy life with his or her family and loved ones. Small businesses can suffer from large amounts of debt and the inability to maintain strong financial standing with creditors.